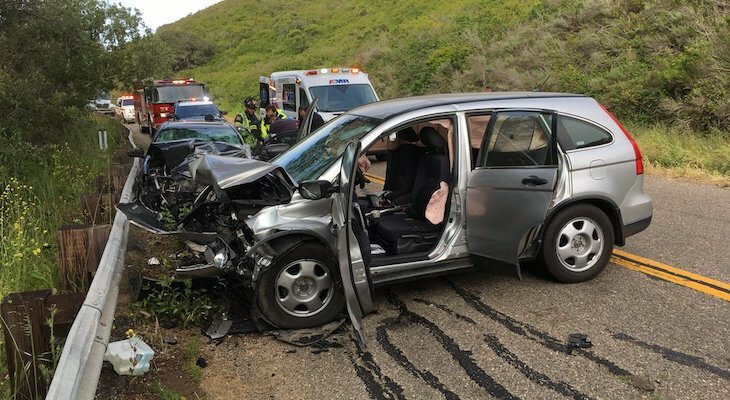 Santa Barbara County firefighters responded to the area of Brown Road and Point Sal around 5:30 p.m. for a traffic collision. They discovered an SUV and sedan involved in a head-on collision. One vehicle was driven by a female who sustained moderate injuries. The other vehicle contained two male passengers who sustained critical injuries. 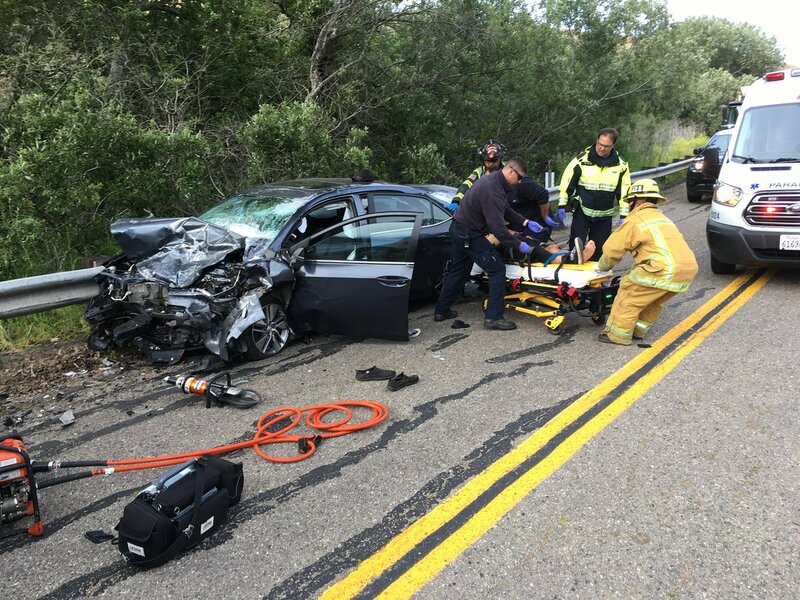 One patient was flown by Calstar 7 helicopter to Santa Barbara Cottage Hospital while the other two were transported to Marian Medical Center by ground ambulance. Injury traffic accident at Brown road and Highway one. 3 To Marian and I believe one is going to Cottage.